Experience the highlights of China as you visit the Middle Kingdom's wonders. Discover the Great Wall and the Forbidden City in Beijing before going underground to marvel at the legacy of the army of terracotta warriors in Xian. Then, pay a visit to the giant pandas of Chengdu, cruise the Yangtze River, savor some of Suzhou's remarkable UNESCO World Heritage gardens and end with the dynamic cityscape of Shanghai. Upon arrival in Beijing, you will be welcomed by your Cox & Kings local representative and accompanied to your hotel. The rest of the day is yours to relax and enjoy the amenities of your luxury hotel or just rest up from your travels in one of the Four Seasons' comfortable signature beds. Begin your day in expansive Tiananmen Square, the largest public square in the world. Then, visit the Forbidden City, the home of emperors during the Ming and Qing dynasties. After lunch, discover the wonders of the stunning Summer Palace, which was constructed beginning in 1750 as a complex of royal gardens for the emperor. The Great Wall stands as a monument to the Chinese Ming Dynasty. Walk along a relatively quiet section of this ancient wall, which snakes endlessly across the mountain ridgelines. After lunch at a local restaurant, walk along the Sacred Way to explore the Ming Tombs, a UNESCO World Heritage Site located at the foot of Tianshou Mountain. After breakfast, visit the magnificent and colorful Temple of Heaven, also dating from the Ming dynasty and one of the city's architectural masterpieces. It is here that the emperors came to pray for good harvests. Get to know Old China on a fascinating tour of the hutongs, the narrow winding back streets of Beijing. Later, fly to Xian and check in to your hotel. This morning, travel back in time on a tour of the Old City of Xian, once a stopping point on the fabled Silk Road. En route to the airport, discover another set of Terracotta Warriors from the Han Dynasty before boarding your flight to Chengdu. Upon arrival, check in to your hotel and enjoy the evening at leisure. This morning, take a day trip to the Bisheng Gorge Panda Sanctuary at Y’an to visit the 80 pandas who call this conservation center home, and who safely eat and play in their wild environment.. Later this afternoon, return to Chengdu. After breakfast, join your private guide to get acquainted with the highlights of Chengdu including an exquisite Daoist Temple and the lush People's Park. Then, head for the railway station for your high-speed train to Chongqing where you'll begin your Yangtze cruise. 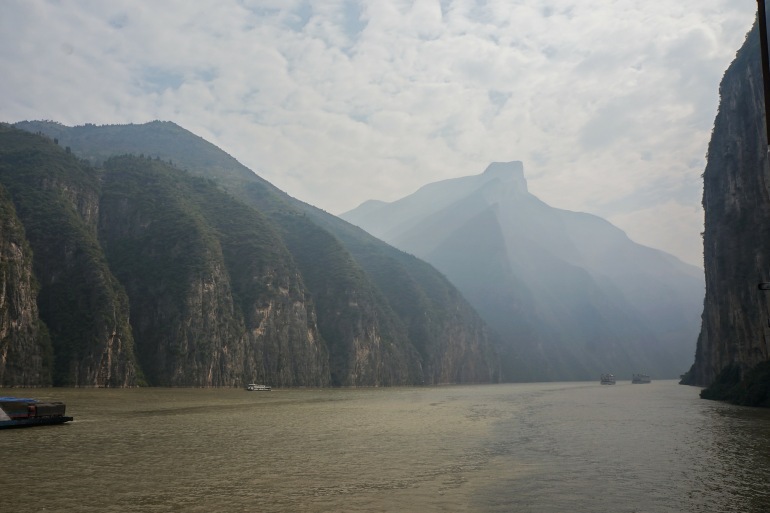 Spend the next two days cruising the Yangtze through Qutang and Wu Gorge. Disembark for guided visits to local villages and enjoy a presentation by an expert at the Three Gorges Dam Project. While on board the ship, choose from a variety of activities, including cooking lessons and Chinese calligraphy. Disembark the ship where you will be met and escorted to the airport in time for your flight to the futuristic metropolis of Shanghai. Upon arrival, check in to your hotel. This morning, visit the lovely Yu Yuan Gardens and the riverside Bund, home to magnificent colonial-era buildings constructed during the early 1900s. After lunch, trace the history and development of the city at the Shanghai Museum and the fascinating Urban Planning Center. Drive to Suzhou, visiting the traditional village of Zhouzhuang en route. In Suzhou - the Venice of China - admire the majestic Humble Administrator's Garden and the Garden of the Master of the Nets, two of the world's greatest gardens. This afternoon, return to Shanghai.